Petroleum generally refers to any naturally occurring hydrocarbons found beneath the surface of the Earth. They can be in the form of a solid, liquid or gas. Solid and semisolid forms of petroleum are called asphalt, bitumen and tar. Liquid petroleum is called crude oil if it is dark and viscous or condensate if it is clear and volatile. Natural gas, which can be found with oil or entirely by itself, is exactly that – a gas. Finding petroleum hydrocarbons and safely extracting them from the Earth takes a great deal of skill and knowledge in geology, geophysics and reservoir management. Several geologic elements are necessary for oil and gas to accumulate in a pool large enough to be worth producing. These elements include an organic-rich source rock to generate the oil or gas, a porous reservoir rock to store the petroleum in and some sort of sealed trap to prevent the oil and gas from leaking away. 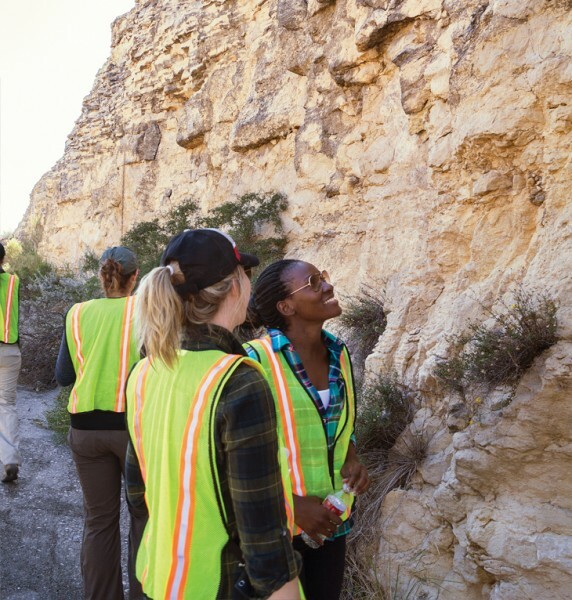 Geoscientists and engineers use their skills and available cutting-edge technologies to explore for these geological features deep within the Earth’s crust. These large pools of hydrocarbons are called conventional or traditional discoveries. Oil and gas hydrocarbons that do not accumulate in large pools are called unconventional because methods needed to extract them go beyond conventional or traditional drilling techniques. These can include gas deposits trapped in shale rock formations or heavy crude oil mixed within sand deposits. Technologies such as horizontal drilling and hydraulic fracturing are used to extract hydrocarbons trapped in shale. Steam-assisted gravity drainage or SAGD is used to free and extract heavy oil from sand.